Are you looking for a part-time qualification to enrich and extend your knowledge of the History of Art? Our two-year Diploma is equivalent to the second year of a full-time undergraduate degree. You study two modules from a choice of four, each of which allows you to immerse yourself in a specific period of art history, studying its developments in depth, and within the wider historical context. 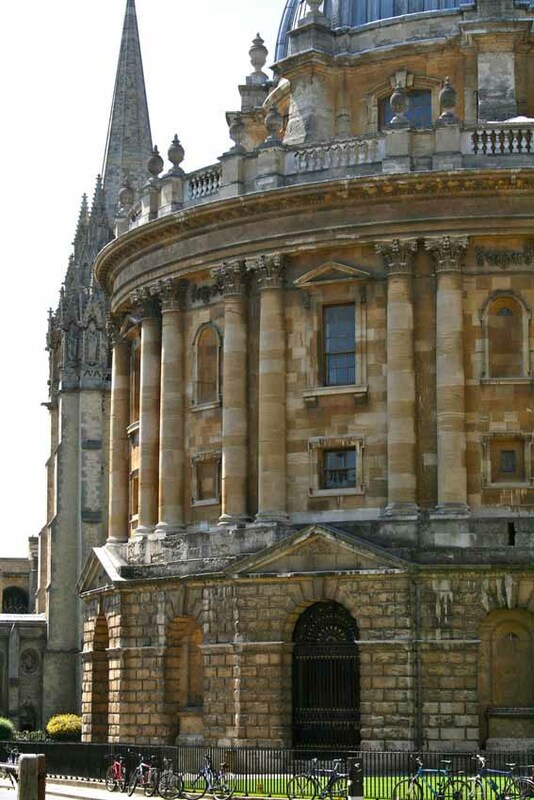 The course reflects Oxford’s exceptional richness in works of art, with museum and gallery spaces such as the Ashmolean and Modern Art Oxford right on hand. You will be offered a rare chance to gain first-hand experience of the visual arts on a regular basis, an option not always possible elsewhere. You will be taught by our panel of expert tutors, with specialist guest speakers at the Saturday workshops. The open evening for this course will take place on Wednesday 16 January 2019, 6.00-8.00 pm at Rewley House, 1 Wellington Square, Oxford, OX1 2JA. If you would like to attend, email undergraduate@conted.ox.ac.uk. To enjoy and make a success of this course, you will need lots of enthusiasm for the subject and a high level of commitment to studying it. You must be interested in the critical analysis of art, and be keen to discuss visual experience in an analytical way. We may ask for samples of your recent written work. Above all, we are looking for the capacity for intellectual growth and development. Formal qualifications are not essential, though previous experience in the study of the History of Art at ‘A' level or first-year undergraduate level (available through our Undergraduate Certificate in the History of Art) is likely to be an advantage. Admission will be based on the information you provide in the application form and at interview. The final decision on admission to the course rests with OUDCE. This is a part-time, modular course taught on Tuesday/Thursday afternoons from 2.00-4.00pm at Ewert House, Ewert Place, Banbury Road, Summertown, Oxford, OX2 7DD. Each module also has five Saturday workshops per year. Depending on your choice of module, your weekly class will be on a Tuesday or Thursday afternoon. The weekly sessions are conducted as seminars, combining lecture presentations with opportunities for group discussion. There will also be six additional group tutorials, from 4.00-4.45pm in the fourth and ninth week of each term, devoted to primary sources, research methods and essay writing classes. Four of the Saturday workshops are devoted to looking at artworks, design and architecture on site, allowing you to develop skills in close, critical visual analysis through direct individual observation and group discussion led by the tutor. We will explore original artworks and the built environment of Oxford and Oxfordshire in depth, as well as London’s temporary exhibitions and permanent collections. The fifth Saturday workshop will take place in May and will be devoted to the assessed oral presentations. Throughout the course you will be expected to undertake the necessary background reading from the lists supplied, using the resources of Oxford University’s reference libraries and online academic journals and to complete essays, an oral presentation and a research project to the required standard. There are four modules offered in total, with two being available each year on a rotating basis. The modules will focus on four periods, with each syllabus immersing you in a specialist period in the History of Art. You must successfully complete two modules to gain the Undergraduate Diploma. Module 3: Revolution to Modernity. Module 2: High Renaissance and Baroque, taught at Ewert House on Tuesday afternoons from 2.00-4.00pm. Module 4: Modern and Contemporary Art, taught at Ewert House on Thursday afternoons from 2.00-4.00pm. Module 1: The Late Middle Ages and Early Renaissance will be taught in Ewert House on Tuesday afternoons from 2.00–4.00pm. Module 3: Revolution to Modernity will be taught in Ewert House on Thursday afternoons from 2.00–4.00pm. For each module, students must complete three written assignments (two essays of 3,000 words and a research project of 8,000 words), and an assessed presentation. Course Director: Dr Janina Ramirez, Tutor in History of Art, OUDCE. Academic advice and support will be provided by the Director of Studies, Dr Cathy Oakes, the Course Director, Dr Janina Ramirez, and the other tutors on the course. The Department also runs a programme of Study Skills workshops to help you develop and improve the skills needed for effective study. For full details of the Study Skills programme, please contact +44 (0)1865 280892. For advice on educational opportunities, credit transfer, special needs facilities and sources of funding, please contact Student Support on +44 (0)1865 280355. Students who successfully complete the two-year course will gain 120 CATS points at FHEQ Level 5 in the Department’s Qualifications and Credit Framework. These credit points are widely recognised in terms of credit for transfer to other higher education institutions, including the Open University and modular universities such as Oxford Brookes University. Opportunities vary for the transfer of credit, so students who are considering taking this course in order to transfer credit are advised to discuss the possibilities with Student Support on +44 (0)1865 280355. Applicants will normally be interviewed and we will let you know whether your application has been successful shortly afterwards. The final decision on entry to the course rests with OUDCE. The fee for 2019–20 is £2,715 (Home / EU students) or £4,650 (non-EU students). An option to pay the fee in instalments is available. There may be a small fee increase for the second year of the course. Overnight accommodation may be available at Rewley House for an additional charge. Please contact the Residential Centre for availability on +44 (0)1865 270362. There may be extra charges incurred on visits to museums. Keiko studied both of our Certificate and Diploma courses in the History of Art, partly with the aim of setting up her own gallery – an achievement she fulfilled in 2017.